What is customer loyalty? As a consumer, you may notice that “customer loyalty” happens everywhere you go. You visit a local deli for a sandwich and the friendly person behind the counter hands you a punch card. Or, you’re checking out at the grocery store and the cashier asks to scan the tiny card on your keychain. Voila! As a professional, you know that once a business gets you in the door, they want you to keep coming back—and they’re always looking for new and more creative ways to do it, turning to a loyalty strategy or another customer retention marketing program to guide their efforts. Many of the customer loyalty programs that we know and love have been around for a while now, but do they really work? Are they worth putting into place at your organization? 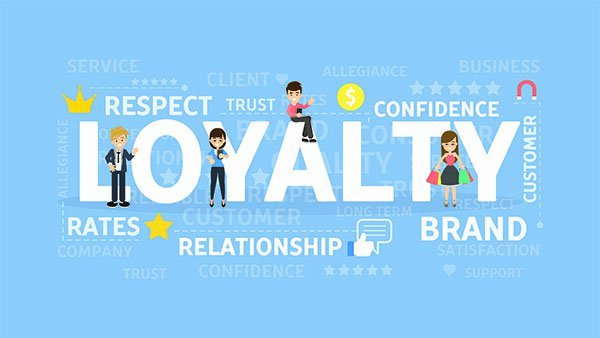 The stats say that loyalty members spend up to 18% more than other customers, so let’s look at some of the ways that loyalty programs connect and engage with casual customers and turn them into loyal patrons. In other words, what does it take for a customer loyalty program to work? First and foremost, knowing and understanding your customers is an important factor in all areas of marketing your business, not the least of which is your customer loyalty strategy. You need to attract customers to your products and services in the first place, keep them interested and engaged with your brand, and connect with them beyond the sale. It’s critical that your loyalty program aligns with your customers’ preferences—while aligning with your brand, too—and offers them something of value. Otherwise, why would they participate and, essentially, pledge their loyalty through ongoing patronage? Simple point system—this is one of the most common types of programs in use today, perhaps because they work simply: for every dollar a customer spends (or review they post, or referral they send), the customer earns a point. Once they have enough points, they can redeem them for products or services. Tiered point system—this is a more complex form of the point system, as it’s based on different levels of spending. If a customer spends more, they’re eligible to go into a VIP group with more potential benefits than a customer who spends much less. Everyone wins on some level. Paid VIP membership—this is a program where members actually spend money up-front to join your loyalty program at either a monthly or yearly rate. They immediately get all the benefits of the program and are given additional incentives throughout their membership. This program may be used in conjunction with a point system, depending on what makes the most sense for your business and customers. Punch program—the value of this type of program can’t be underestimated by repeat, regular purchasers. They’re most successful in brick and mortar stores—like coffee and sandwich shops—where every time a customer makes a purchase, they get their card punched. Usually after ten or so punches, they get something free. Now that we’ve all caught up on the different variations of customer loyalty programs, check out part two of this series and explore what constitutes an effective customer loyalty program.